From Eve to Esther, from the Samaritan woman at the well to the widow with her two mites, many women in the Bible have made courageous choices. All through the ages, women have chosen to help, to solve problems, to stand up for others, to strengthen families, and to follow God no matter what. 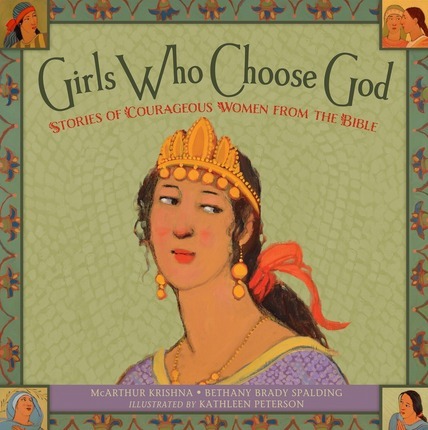 Girls Who Choose God invites young readers (and those who love them) to make important choices of their own, following the examples of great women in the scriptures. With breathtaking illustrations, beautifully told stories, and insightful discussion questions, this delightful book is perfect for sharing, reading aloud, and drawing children into the scriptures. *In buying this book, you support educational and employment opportunities for LDS young women around the world. All of the authors' proceeds will be donated to Interweave Solutions. For more information about the organization's good work, visit interweavesolutions.org. 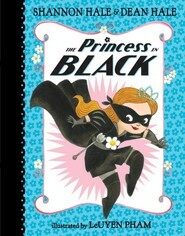 This is the first children’s book I have seen that focuses on the stories of these notable women. it’s nice to have highlighted for our daughters (and for us!) women who can serve as role models and examples. One of the things I love about this book is that each story ends with a question: “When have you made a choice to stand up for others?” “When have you made a courageous choice?” “When have you chosen to be a true follower of Jesus?” And so on. In addition to highlighting the story of each woman, the book asks readers to liken themselves to these Biblical heroes. It was a good reminder for me, because though I am familiar with nearly all these stories, having read and studied them many times over the years, I don't spend a lot of time actively thinking about how I can be more like these women, how I can use their stories to better myself and make courageous choices to further the work of God. I think this book would be an excellent choice for girls of any age, and for using in a teaching setting to spark discussions about courage, faith and discipleship, among other topics. Oh, and by the way, the illustrations are lovely, too. They are so fitting to the feel of this book. A beautiful, doctrinal book of scripture heroines for girls and boys of all ages to "liken" to themselves. Hooray! Thank you to Deseret Book and the creators of Girls Who Choose God, for making a book for our children that supports church doctrine about God’s love for and interaction with His daughters, and their examples of how to make courageous, strong choices that bring themselves and others closer to Him. This gorgeous picture book is simple enough for young kids (my five year old son was attentive and thoughtful all the way through), but profound and beautiful enough for any age (my 8-y-o daughter loves to read it too). In short narrations it portrays the rich heritage of scripture heroes we have in the bible that we don’t think of when we hear those words, then provides a question to help you “liken” them to yourself. The women the book profiles are not just who you’d expect (ever heard of Mahlah and her sisters? or Deborah, the judge? ), but even the most familiar characters (Esther, Mary and Martha) are shown to be agents of choice in a new way. I especially like the way the questions at the end of each profile/story double as both prompts for thoughtful discussion, and as insights into the characters being profiled. This would be a great gift to give at baptism or at the completion of the Faith in God award in Primary, as a way to honor a young woman entering or moving up in the Young Women’s program, or a missionary getting their mission call. It would also be totally appropriate as a gift book for visiting teachers, or if you’re looking for a way to say thanks to someone for their church service. I have a friend who is not LDS, who would also appreciate the thoughtful treatment of these Bible stories. Girls (and boys too!) need more books like this! My daughters are starting to notice the lack of women in their history books. Certainly they will start noticing the lack of women in their primary lessons soon. So I'm glad to see books like this coming out! For our daughters, and our sons, too. We need to teach our children about the women of the scriptures just as much as we need to teach them about the men. Excellent resource for inspiring & empowering women/girls to live deliberate, fulfilled lives anchored in faith. As a mother and teacher of young girls, I've struggled to find a resource that can powerfully and simply teach our unique LDS theology of divine femininity and the noble endowment we share as daughters of God. This book celebrates women from scripture who made difficult choices to honor higher laws in order to bless others' lives and fulfill their own destiny. These stories are succinct and informative; the artistry is exquisite and sublime. Question-prompts with each story provide natural dialogue-triggers whereby women/girls may liken stories to themselves in Primary, Young Women and Relief Society settings. My husband even wants to use this in his Priesthood lessons. Brava to the creators of this book that has long been wanted and needed by the world! I am so glad this book exists. I think representation is important, especially for girls in the church. We need examples of strong, righteous women who acted in accordance with their hearts, women who followed God and Jesus Christ. 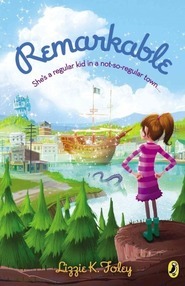 I hope we get many more books that show our girls that they can be powerful! My daughter loves to hear me tell her stories. She love hearing about the day she was born, the times she showed courage and the possibilities for her future. She also loves hearing stories of women of faith. She always asks me "Where were the girls?" Thank you for beautifully putting together the stories that I hope she will deeply and personally apply to her life. As she and my sons learn the stories of other "girls" who chose God I hope that they will see themselves through them. I will read and re-read this many times with my daughters! I am beyond excited to have this book as a resource in my home. The artwork is so beautiful and sensitive. I love all these amazing examples of strong, faithful women for my daughters. I also love the questions for discussion. They are all simple and at the same time powerful, to reach a broad age group beyond children. I also enjoyed seeing more examples of women in the Bible. I will give this as a gift to other little girls in my life. Girls Who Choose God is a wonderful book about the power of making the choice to follow God in the face of difficult and even life-threatening circumstances. Each four page spread shares a brief telling of the experience of the girl(s) including an explanation of the choices she/they faced, the following pages explain what the girl(s) choose and the results. I especially liked the inclusion of a question at the end of each section that encourages the reader to apply the same principles in his/her own life. The illustrations are beautiful and add a really nice touch to the story. They help create a sweet, peaceful atmosphere in the book. The following stories are included: Eve, Miriam, Mahlah and her sisters, Deborah, Esther, Mary (the mother of Jesus), the Samaritan Woman at the well, Mary and Martha, the widow with the two mites, the woman with the blood disease, and Mary Magdalene. It's so nice to see some of the women from the Bible highlighted. So often the focus is on the great men of the Bible and there's nothing wrong with that, but it's nice to see the woman being honored for their important choices as well. A wonderful source both for enjoyment and for teaching during Family Home Evening and other times. Highly recommended. This is a beautiful book. Girls Who Choose God features girls/women from the New and Old Testaments in the Bible. Eleven stories are featured, but not all are well-known. The stories are simply told. Each story is two pages in length with beautiful and simple illustrations. I loved how each woman reached a pivotal decision and chose the better part. The author's point out that they could have taken the easy path, yet they chose to follow God and how their lives were blessed. Some even saved other's by their selflessness. At the end of each story a question is asked. It allows for discussion how we can be a better people who choose to follow God. This is a book that I wish I had to read to my children when they were small.